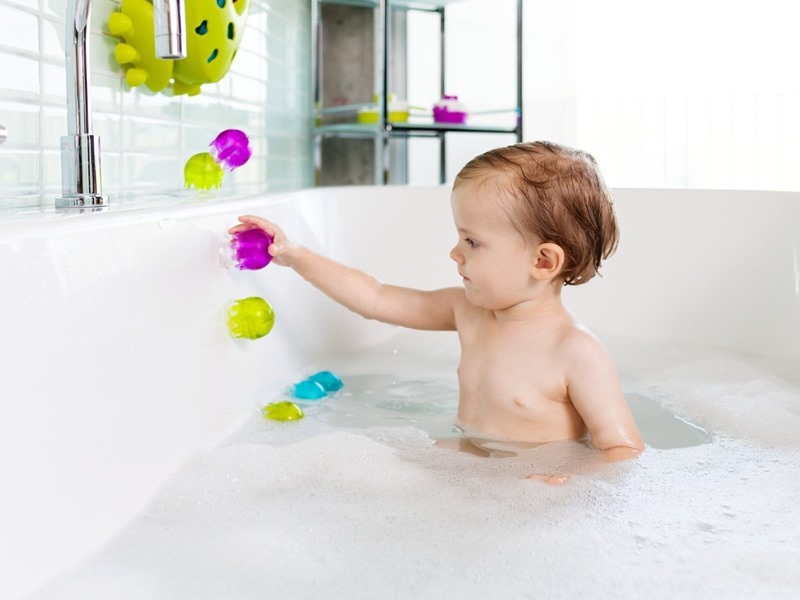 Boon’s new Jellies are engaging toys that stick right to the bathtub wall in a way that will delight your toddler! These tiny and adorable jellyfish from the always clever folks at Boon, use super suction cup tentacle action to stick to all sorts of stuff including the tub, fridge and more. Not only do these little jellies stick to walls, they also link to each other so your tot can build cool shapes and structures while scrubbing up. There are nine tiny jellies per set, each of them BPA-free for non-toxic fun you can feel good about. Great for tots ages 12 months and up. Boon's new Jellies are engaging toys that stick right to the bathtub wall in a way that will delight your toddler! These tiny and adorable jellyfish from the always clever folks at Boon, use super�suction cup tentacle action to stick to all sorts of stuff including the tub, fridge and more. Not only do these little jellies stick to walls, they also link to each other so your tot can build cool shapes and structures while scrubbing up. There are nine tiny jellies per set, each of them BPA-free for non-toxic fun you can feel good about. Great for tots ages 12 months and up.